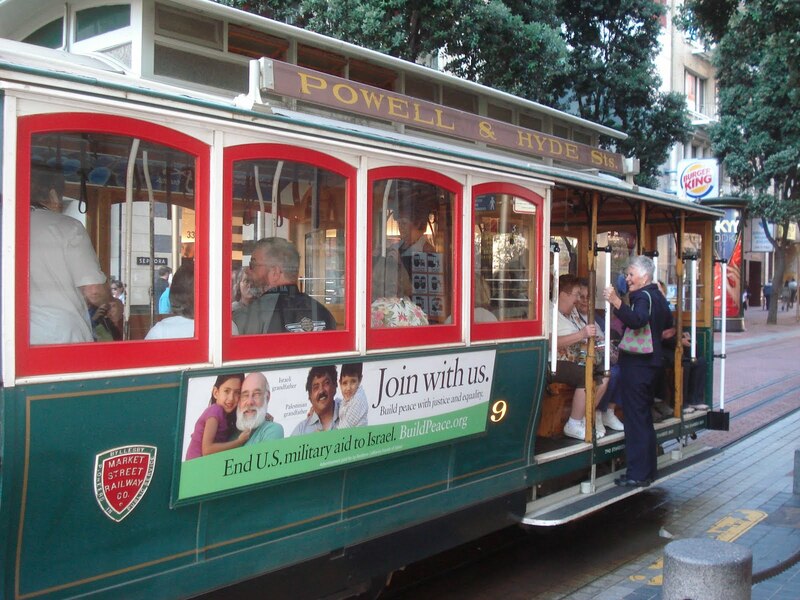 Blog to End the Occupation: New Ads on San Francisco Cable Cars, Buses, and Bay Area BART! New Ads on San Francisco Cable Cars, Buses, and Bay Area BART! Friends of Sabeel-North America, American Muslims for Palestine, Jewish Voice for Peace, Bay Area Women in Black, and the Middle East Children's Alliance -- five member groups of the US Campaign coalition -- are some of those involved in bringing back Bay Area ads calling for end to U.S. military aid to Israel, this time on BART, Muni, and San Francisco cable cars! 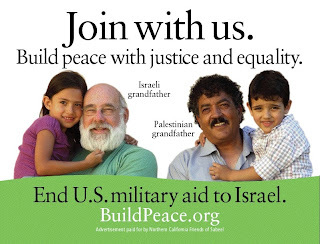 The ads are part of an initiative launched in October 2010, by a Chicago-area community group called the Committee for a Just Peace in Israel and Palestine. NorCal Sabeel followed with ads in several BART stations last December. 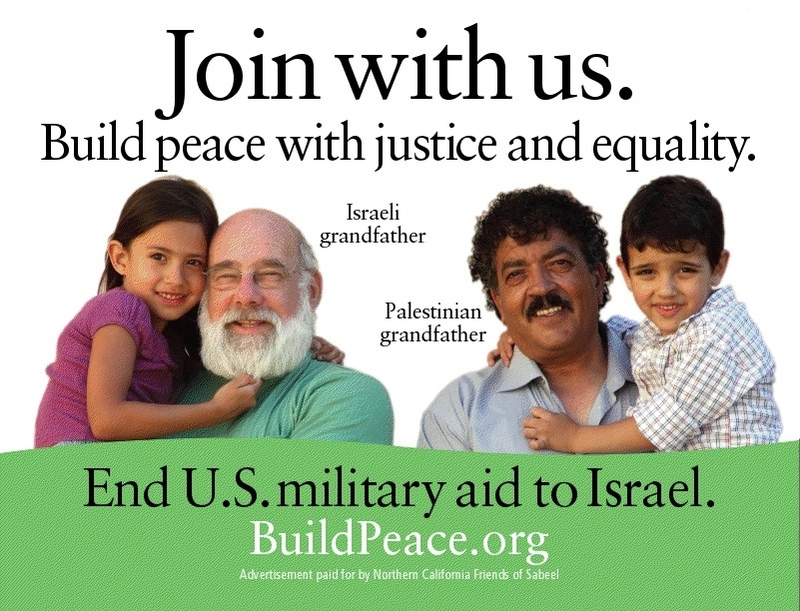 Since then similar ads have appeared in transit stations, on buses, or on billboards in Washington, DC; Boston, MA; Arizona State University, Phoenix, AZ; and Albuquerque, NM. More cities are planning their own campaigns soon.